The request components include the protocol, which is typically http or https for secure communications. The host is a target website. The default port is 80, but one can be set explicitly, as shown here. The resource path specifies the server path to the data and the query is the data request action or verb. A web page request is a simple component of web scrapping. Next, a server response will deliver a status message with web page content. The web page content must be searched, be it manually or automatically. Hence, web page crawling is a key feature of web scrapping. Next, the web page content will be parsed, extracted and reformatted. 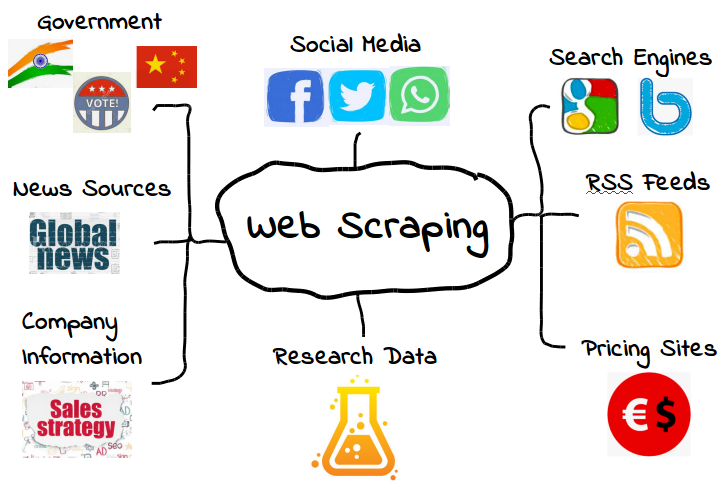 Web scrapping, for example, might first retrieve a web page and then extract contact names and phone numbers. In another instance, the focus might be to grab a research data table or a collection of tables. Finally, another effort might seek to extract intel using text strings found in multiple news or social media reports. HTML document message. HTML stands for HyperText Markup Language and defines the content and structure of a webpage. “Hyper Text” in HTML refers to hyperlinks that connect webpages to one another, either within a single website or between websites, to populate page content. 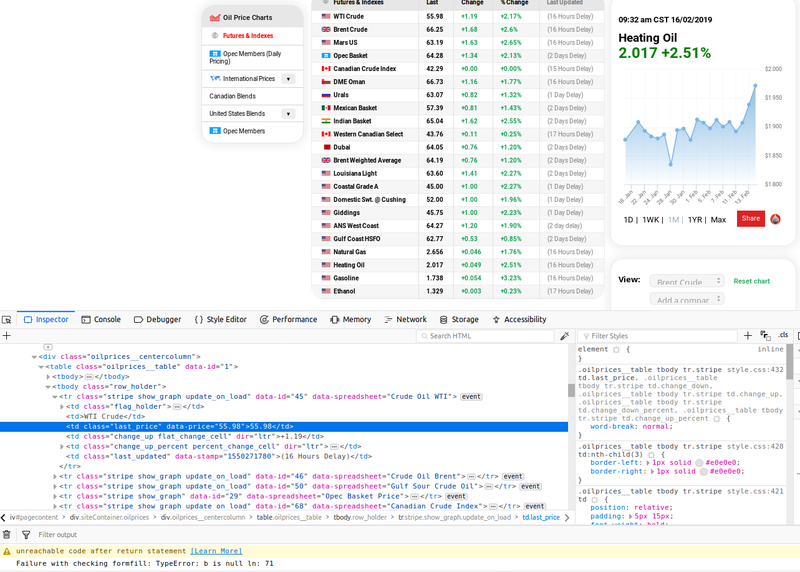 Meanwhile, “markup” text includes special page elements or “CSS selectors” such as <head>, <title>, <section>, <body>, <div>, <table>, <p>, <img> and may others. Web crawling and scrapping involves finding and extracting from these elements as needed. If you don’t know HTML, this may look daunting! But look close. All the table text and data is there to be grabbed. Meanwhile, another essential tool for web page inspection is SelectorGadget. SelectorGadget is an open source tool that makes it easy to identify and define CSS content. Just install the browser extension as instructed. The tool simplifies inspection of complicated web sites to just a few point-and-click actions and it makes it a breeze to locate content to scrape.